It is normal for teenagers to feel anxious or scared at times. A little bit of anxiety can be helpful sometimes, for example it can motivate us all to study and concentrate in school, or can help us to pay close attention to our surroundings when driving. In teenagers, unhelpful levels of anxiety can be evidenced by recurrent physical complaints (such as recurrent headaches, stomach aches, or nausea), a tendency towards excessive perfectionism (to the detriment of productivity), excessive reassurance seeking, emotional outbursts, irritability, recurrent nightmares, difficulty going to sleep or waking throughout the night. Anxiety can also be associated with lowered mood. Anxiety disorders can impact a teenager’s capacity to move through developmentally appropriate milestones, attend school, or cope with family life. Anxiety may persist into adulthood, or lead to other problematic behaviours (such as drug use) if not appropriately treated. When do we need to seek treatment? What is involved in assessment? Whether you see a Psychiatrist or Psychologist first, a comprehensive assessment should always involve a detailed history from your teenager’s caregivers. This will involve both parents or guardians. The involvement of both guardians is particularly important if your teenager is required to live between two households. Your Specialist may also request collateral information from prior treatment providers (GP, psychologist) as well as your teenager’s school (teacher, guidance officer or school chaplain) or employer. The second part of the assessment will involve an interview with your teenager. Your teenager will be interviewed alone. Whilst taking a history, your Specialist should also screen your teenager for any co-existing learning or language disorder which might impact on their capacity to participate in day-to-day activities. Depending on history, your Specialist may recommend blood tests to exclude possible comorbid medical conditions that can manifest with anxiety symptoms. This is particularly important if you are considering medication. What treatment can we expect? Good practice dictates that first line treatment consist of psychological treatment from an appropriately skilled Psychologist, Psychotherapist or Adolescent Psychiatrist with experience in the area. Psychotherapeutic sessions will generally occur weekly, and will use principles from Cognitive Behavioural Therapy initially, although other therapeutic strategies such as Dialectical Behahvioural Therapy or Interpersonal Psychotherapy may also be used. Caregivers are encouraged to be strong participants in their teenager’s treatment. Your Specialist at Brisbane Specialist Suites will teach caregivers skills so that they may have the knowledge to reinforce strategies at home. Medication is only considered when psychological strategies have failed, or when anxiety is of such severity that your teenager is unable to participate in psychological treatment. Medication should only be considered under the supervision of a Child & Adolescent Psychiatrist. The “Cognitive” part focuses on helping your teenager to take notice of, and track their thought patterns when feeling anxious. Once these have been mapped out, your teenager is then taught how to challenge automatic thoughts (by replacing unhelpful thinking) and regulate their emotions (such as mindfulness and attention training, or self-management training). The “Behavioural” part focuses on practical behavioural strategies to manage anxiety. This may include activities to self-soothe when your teenager experiences unpleasant feelings (such as relaxation skills), but also may include strategies to challenge themselves and fight their fear (such as leaving the house, attending a social activity with friends, going to school). It is essential that these skills are delivered in a developmentally appropriate way by an appropriately skilled Specialist. Both Individual Therapy (one to one) and Group Therapy are available at Brisbane Specialist Suites. 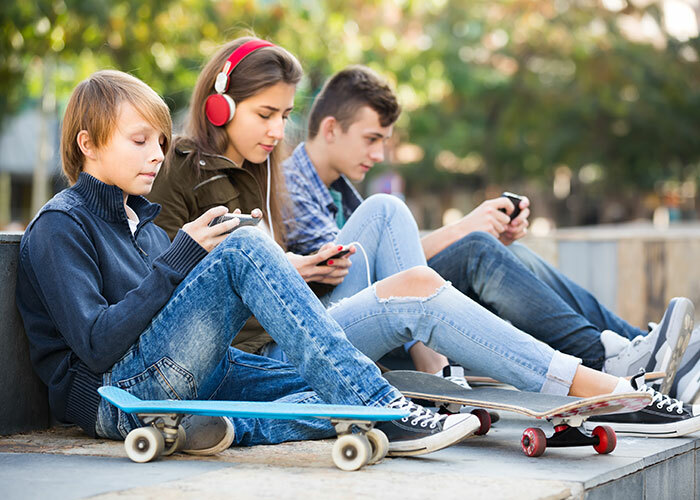 In Group Therapy Teenagers and Young Adults can be taught social skills as well as techniques from Cognitive Behaviour Therapy, Dialectical Behaviour Therapy and Interpersonal Psychotherapy. Key targets to change in a group setting include increasing self-awareness; social skills; building resilience; dealing with bullying; developing empathy; relaxation skills; increasing positive coping role models and support networks; problem-solving skills; and friendship skills. Many teenagers and young adults report strong positive benefits from attending Group Therapy as they experience that they are not alone and they expand their social circle. Patients come to see us for a range of reasons. Whether you are struggling with relationship difficulties, mood or anxiety symptoms, grief and loss issues, or work or study stressors, our team will be able to assist you.